Used Indian iphone in very good condition. Fully tested and 100% working. Very minor scratches and light dents looks very good. Check for iCloud lock. and 100% unlocked. Handset and charger only. No Box or earphones included. The latest range of iPhones from Apple is here to offer you more. 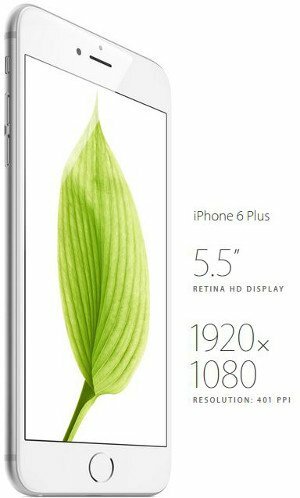 With the Apple iPhone 6 Plus you are sure to find more and better features. Experience a bigger screen with a thinner body, which makes it extremely lightweight and easy to carry. The Retina HD display accounts for a quality media experience. It is also exceptionally energy efficient and is sure to perform for longer time. The seamless design along with the internal functions make it into a super-efficient performer. The seamless design of the iPhone 6 Plus matches the fluidity of the iOS 8, making the combination one unified whole. Now you can have access to a lot more at the touch of your fingers at your own convenient time. Whether it is learning, shopping, gaming, navigating or browsing the iOS 8 ascertains an effortless experience. The combination of iOS 8, one of the world’s most advanced OS and the premium built of the iPhone makes it quite a complete package. Since the Apple iPhone 6 Plus screen is quite large than usual, it might be difficult to navigate through the entire screen with one hand. But with Apple, you need not worry, for there is a solution for this. With features like Reachability you can easily access any app or tool. By double tapping on the Home button you can shift the entire screen closer down towards your thumb. 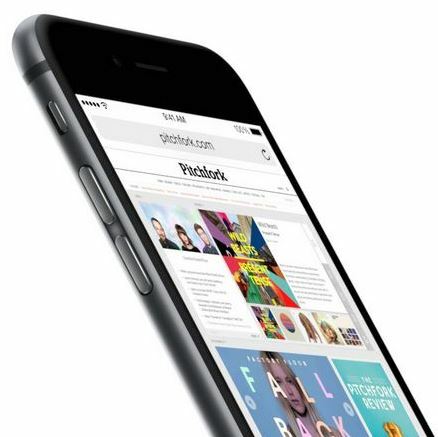 The iPhone 6 Plus has an effective touch screen for a smooth navigation. Also, the buttons have been revamped to ensure more user friendliness. The slender frame has a built-in elongated volume button and a sleep/wake up button for you to easily use it. Shopping online can be a tricky affair if done in an insecure environment. Apple Pay ensures a secure environment for online shopping. It not only allows you to pay in stores at a single touch but also provides the security and privacy of Touch ID and Passbook. Rediscover your creative powers, explore the scopes of rich media with the iPhone camera. The iSight camera has proved to be favourite with a lot people around the world. The photos shot by the iPhone camera are taking the media by storm. Now you can recreate the same magic while filming videos. The Focus Pixels and other video features along with a new sensor will help you capture top-quality videos effortlessly. iPhone 6 Plus isn’t simply bigger — it’s better in every way. Larger, yet dramatically thinner. More powerful, but remarkably power efficient. 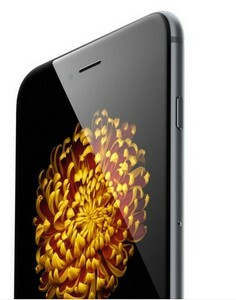 With a smooth metal surface that seamlessly meets the new Retina HD display. It’s one continuous form where hardware and software function in perfect unison, creating a new generation of iPhone that’s better by any measure. iOS 8 is the world’s most advanced mobile operating system. And with incredible new capabilities and features designed to make the most of a larger display, iOS 8 doesn’t just work seamlessly with iPhone 6 Plus. It makes every experience feel bigger and better. We completely rethought how you pay to make shopping easy, secure, and private. 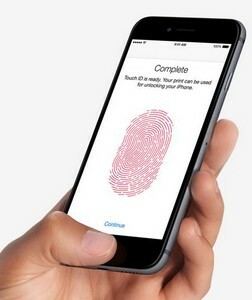 Apple Pay combines the convenience and security of Touch ID and Passbook with NFC technology. So you can use iPhone 6 Plus to pay in stores and within apps with a single touch. By creating iPhone 6 Plus and iOS 8 together, we optimized the software to enhance the physical design. iOS swipe gestures were designed to be more fluid across the seamless form, making it easy to navigate iPhone with one hand. With new features like Reachability you can interact with the larger screen in different ways, too. Simply double touch the Home button and the entire screen shifts down closer to your thumb. And to easily navigate Safari or Mail, swipe left to right across the screen to go backward, or swipe right to left to go forward. With the new continuous surface of iPhone, all your gestures now feel smoother than ever. We also thought about how you use your iPhone every day and redesigned the buttons to make it even easier to use. Elongated volume buttons are integrated into the thinner profile, outlined to make them effortless to find by touch. And the Sleep/Wake button has a new home on the side of the device to put it comfortably within reach. The result is an experience that’s even more intuitive. Developing an iPhone with a larger, more advanced display meant pushing the edge of design. From the seamless transition of glass and metal to the streamlined profile, every detail was carefully considered to enhance your experience. So while its display is larger, iPhone 6 Plus feels just right. Built on 64-bit desktop-class architecture, the new A8 chip delivers more power, even while driving a larger display. The M8 motion coprocessor efficiently gathers data from advanced sensors and a new barometer. And with increased battery life, iPhone 6 Plus lets you do more, for longer than ever. It’s one thing to make a bigger display. It’s something else entirely to make a bigger Multi Touch display with brilliant colors and higher contrast at even wider viewing angles. But that’s exactly what we did with the new Retina HD display. A superfast connection can make you feel like the whole world is within reach. That’s why iPhone 6 Plus has faster LTE download speeds. That’s also why it has more LTE bands than any other smartphone. iPhone 6 Plus supports more advanced wireless technologies to boost performance and help you connect to the things and people that matter most. Rather than using traditional methods to create the higher-resolution Retina HD display, we developed an advanced process of photo alignment. This involves using UV light to precisely position the display’s liquid crystals so they lie exactly where they should. Better-aligned crystals deliver a superior viewing experience, with deeper blacks and sharper text. The first thing you notice when you hold iPhone 6 Plus is how great it feels in your hand. The cover glass curves down around the sides to meet the anodized aluminum enclosure in a remarkable, simplified design. There are no distinct edges. No gaps. Just a smooth, seamless bond of metal and glass that feels like one continuous surface. 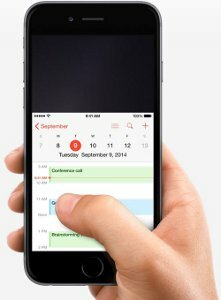 To make the most of the even larger display on iPhone 6 Plus, many built-in apps like Mail, Calendar, and Stocks have been redesigned to help you be more productive. Simply switch from portrait to landscape to see some of your favorite apps take on a whole new dimension.